Manchester United now have to sleep with one eye open, despite already having one hand on the EPL title. Chelsea FC have now moved into second position on goal difference thanks to a 3 - 1 win over Birmingham. 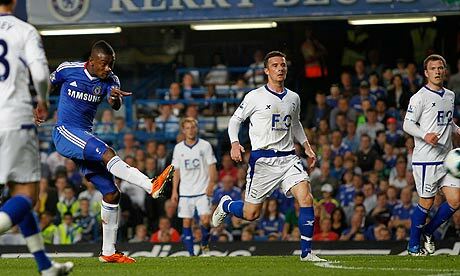 Florent Malouda got the scoring underway for the Blues in the third minute of play after firing home a Paulo Ferreira cross. Saloman Kalou added Chelsea's second midway in the second half before Malouda killed off any chance of a Birmingham revival with his second for the game and Chelsea's third. Birmingham were given a consolation goal with David Luiz was judged to have foaled Matt Derbyshire in the box. Sebastien Larsson duly stepped up and slotted home the resulting penalty, ending the game 3 - 1 in favour of the home side.